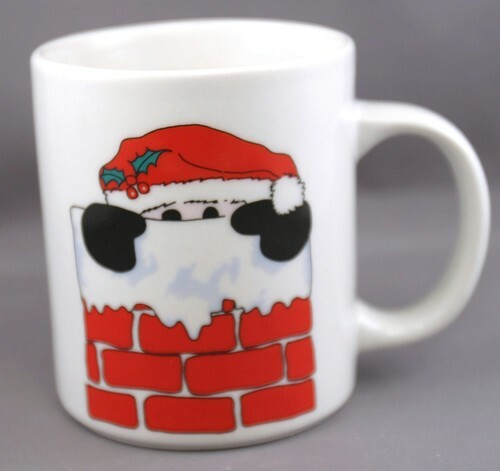 White ceramic coffee mug with Santa peeking out of chimney. Made in China. The mug is about 3 3/4 inches high by 3 inches across without handle. Pair of ceramic mugs, "Oh Christmas Tree"